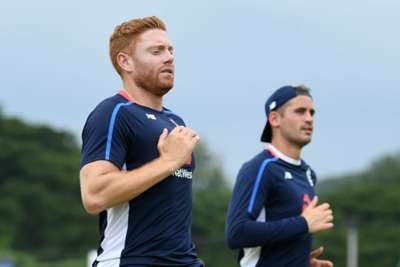 Jonny Bairstow is a doubt for England's fourth one-day international against Sri Lanka on Saturday after injuring his ankle playing football. Bairstow has established himself at the top of the order as Jason Roy's opening partner, but could miss out in Kandy. The Test wicketkeeper-batsman turned on his ankle during a pre-training warm-up session on Friday. Bairstow will be assessed by medical staff ahead of the match, with Alex Hales most likely to come into the side if the 29-year-old is ruled out. England hold a 2-0 lead with two matches remaining in the series.